[George] Ernest Ingels, 55, former farmer of the Pickering vicinity and former manager of the Farmers Exchange of that place, died at 10:30 o'clock Monday night at the St. Francis Hospital in Maryville. He had been in failing health the last three years and suffered a paralytic stroke the early part of December. Funeral services were held Wednesday afternoon at the Pickering Christian church and burial was in Oak Hill cemetery at Maryville. 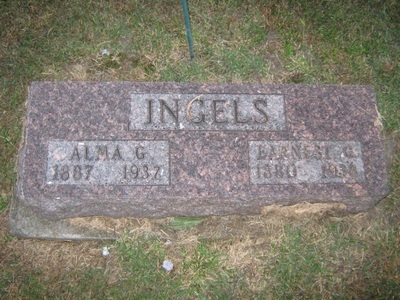 Mr. Ingels was born Oct. 22, 1882 , near Pickering. 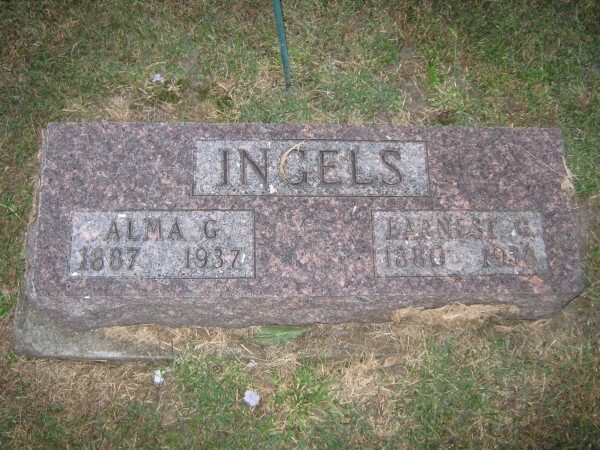 He was married Jan. 7, 1906, to Alma [Grace] Holt in Nodaway County, who died eight and a half months ago. 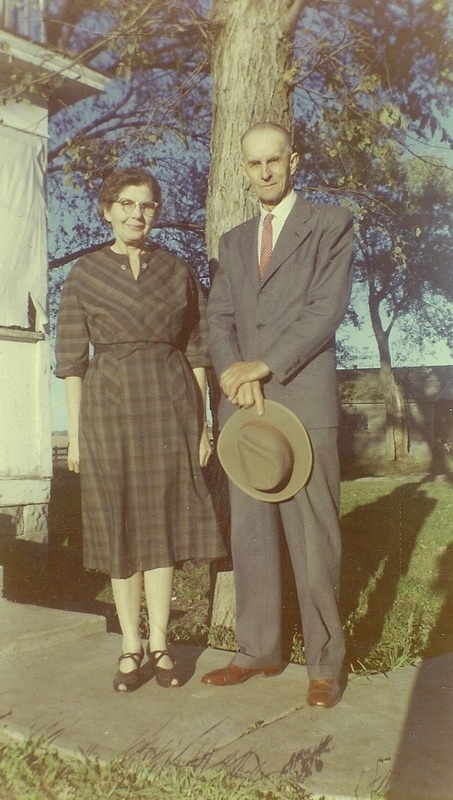 He is survived by seven children, Mrs. James Neidel of Maryville; Donavan Ingels and Theodore Ingels of Pickering, Doris, Gladys, Eldon Dale and Betty Lou, at home; five sisters, Mrs. Ed Schooler and Mrs. Tom McClurg of Maryville, Mrs. Cora Laughlin of Bedford; Mrs. Myrtle Gillespie of Villisca, Mrs. Bertha Neal of Braddyville; three brothers, Alva Ingels of Pickering; William [Harley] Ingels of Hopkins; and Ben Ingels of New Market; and two grandchildren, Russel Neidel and Donna Lou Ingels.